Expanding the constitutional powers of Turkish President Recep Tayyip Erdogan will have profound consequences for the future of the country’s democratic institutions. The proposed changes passed a parliamentary vote on January 21  and will go to a referendum on April 16. A win for Erdogan is likely to further destabilise Turkey’s domestic political situation and exacerbate the country’s regional isolation. Despite the presidency’s limitations, Erdogan has remained Turkey’s key political player. His firm control of the ruling Justice and Development Party (AKP) has enabled him to continue directing national affairs. Potential rivals have been marginalised, most notably in May 2016 when then-PM Ahmet Davutoglu was ousted after opposing the presidential reforms . Even the AKP’s importance has diminished since last July’s failed coup  gifted Erdogan extra-parliamentary emergency powers . The proposed constitutional changes will formalise the president’s de facto rule. 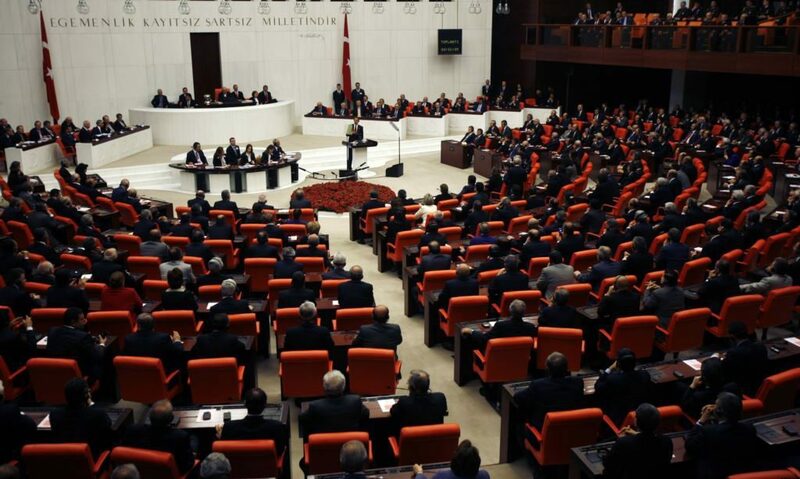 The reforms would see Turkey morph from what was once a government in a broadly Westminster parliamentary-style to something resembling an American system with separation of powers between the executive and the legislature. But in Erdogan’s Turkey no such separation  will exist. However, more repression could bring trouble. Leaks from European intelligence  confirm what was long suspected: Erdogan was planning a purge of the military before the failed coup. The attempt to overthrow him was a poorly executed pre-emptive strike. In the months since, 125,000 people have been dismissed  from state-sponsored positions and tens of thousands arrested—particularly from the military. Should the president succeed in centralising his authority, further purges are expected. This might lead his remaining opponents to attempt another coup out of fear for their safety. In October, a retired general who anticipated the July revolt warned a second coup was brewing  (though this may have been an orchestrated move to justify the purges). Meanwhile Erdogan’s increasingly Islamist stance—the key factor which generated the attempted coup—has hardened. Add to this rising tensions with the military over the detention of its soldiers and Turkey’s precarious security situation, and a successful referendum could trigger another coup attempt. Recent polling  suggests the April referendum will be close. Erdogan’s popularity is nearing all-time highs and the series of terrorist attacks Turkey has suffered will assist his grab for power. However, economic headwinds may hinder Turkey’s strongman; the lira has been 2017’s worst performing currency, partly due to Erdogan’s pressure on the central bank . To offset any loss in popularity, Erdogan is likely to adopt a more hawkish foreign policy before April’s referendum. He utilised this tactic before the second election in 2015 by ordering the resumption of hostilities with Kurdish separatists after two years of peace. President Erdogan may also seek to highlight his Sunni Islamist credentials, a move that has proved popular with his political base. Part of this strategy has seen the president frame himself as a defender of Sunnis in Syria and Iraq. This led to talk of war  with Iraq last November when Erdogan demanded the Shi’ite force retaking Mosul from ISIS protect the city’s Sunni population. Greater rhetorical aggressiveness in defence of neighbouring Sunnis could create a dangerous escalatory spiral. Similarly, Erdogan will seek to portray himself as a regional strongman. As tensions between Ankara and Baghdad rose last year, the president told Iraq’s prime minister to ‘know his place ’ and bluntly stated, ‘you are not at my level’. Six weeks later, the Turkish leader described his country’s military intervention in Syria as a means to ‘end the rule of the cruel Assad ’. Erdogan’s increasing assertiveness will concern Turkey’s neighbours, who haven’t forgotten Turkey’s historic role at the helm of the Ottoman Empire. William Baulch is the editor-in-chief (analytics) of Foreign Brief. Image courtesy of Wikimedia Commons.